Cloud software (also known as software as a service) is perfectly suited for home or small businesses as it required no hardware, no software, just an internet browser. First, it is probably a good place to start by asking: "What is cloud software?" Basically cloud software is software that is 'hosted' by a service provider and 'rented' on a yearly - or in the case of Zoho, a monthly basis, to users of the software. The providers take care of all of the servers required to run the software - ie. the hardware, of course the software too, that resides on their servers, the storage space for your data and files, the backup and disaster recovery procedures and importantly, the security of the entire infrastructure. Put simply, the providers invest in the infrastructure, you pay to use it. For small businesses this has major advantages as they no longer need to invest in hardware such as servers, or software to run the applications. Indeed, even the need for in-house IT staff is reduced when using cloud software because this role is provided as part of standard support for subscribers of their service. 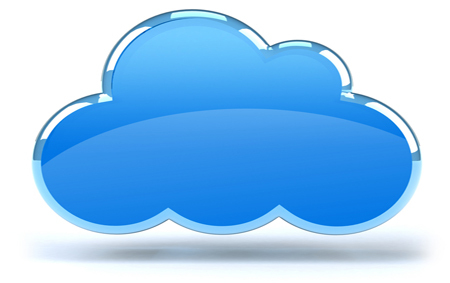 Click here for more details of cloud infrastructure and security. In addition, you are not locked in to expensive software upgrade plans and equipment purchases. Businesses use what they need when they need it, that's the concept behind cloud based business apps and Zoho are one of the most flexible providers of all, with many of their apps coming in free versions and then monthly licensing for paid versions, meaning you can upgrade or downgrade at any time you choose, even on a monthly basis. This means you can start small and expand you IT requirements as your business grows. The best thing about cloud software for business is that all patches and upgrades are free! You sign up and there will generally be various new features released free of charge for as long as you subscribe to the service and in addition, if you do happen to spot a bug it is fixed for free. Well, depending on your point of view of course, you may prefer to keep data on servers inside your office, or perhaps own the machinery and software that is used in the business. Cloud software, especially software as a service, is in effect 'rented' from the service provider. In our experience there are a fair number of people who cite this as a reason not to opt for cloud software, but in fact generally the economies of scale are such that cloud service providers can more often than not provide a far more stable and secure platform than many companies can by themselves. Read more about cloud security here. Mangoho - online business solutions and consulting services UK. Our range of Zoho business apps are suited for all kinds of business and cover website design, contact (customer) management, project management and time tracking, online support desk, online accounting and invoicing and online document management, to name a few. And, with a rapid time to implementation these solutions are perfect for small businesses on tight budgets who want to get up and running as quickly as possible.